Do you think of yourself as the Jack of all trades master of none? If you answered yes, you are not alone. Most of us particularly in today’s high pressure world can do well at many things and not amazingly at any one thing. Our minds are scattered and unfocused which prevents us from truly excelling at something. Learning archery can help you focus and achieve the peace of mind you need to truly discover your gifs. 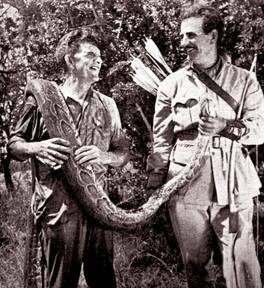 I’d like to share with you, the story of Howard Hill, the king of archery with quite a few tricks up his sleeve including writing and making twenty-three films focused on precision archery, theatrics and the taming of lions and other wild animals. 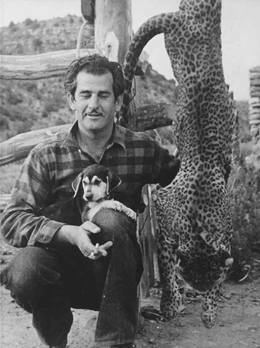 As if that wasn’t enough to add to Hill’s impressive barrage of achievements, Howard Hill was a great storyteller who wrote the book Hunting the Hard Way, which is an absolute must read for the archer at heart. Howard Hill was born in a Wilsonville Alabama on November 13, 1899 to farmer parents John F.and Mary E Hill. He was a young man who during his lifetime, got to wear many hats including that of producer, stuntman, sportsman and film director. Beginning in the 30s through to the the 1950s Hill has produced and directed a number of short and featured films. 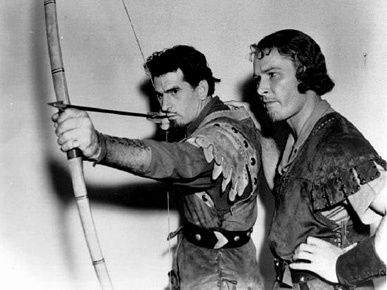 Though one of his most famous ones being The Adventures of Robin Hood (1938). 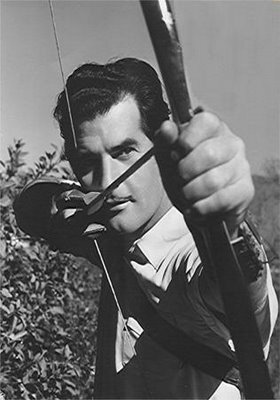 According to Australian actor and friend Errol Flynn, archery was Hill’s very first love that stayed with him for all of his life. Howard grew up in a small farming town of Shelby County, where very early on, his father made a simple bow and arrows out of white oak for his son who begun shooting at four years of age. Being part of a small rural community Howard and his sister were lucky enough to have grown up around a wide array of wild animals. Perhaps this is why despite being skilled at most all sports including high school baseball, basketball and football, Hill could not stop turning his focus to the art of shooting bow and arrow. His love of archery allowed him to pay his own way through college, where he gave summer archery lessons to enthused folks.He continued playing football and basketball while maintaining his job at Hughes Tool in Miami Florida. In 1922 Hill married his former high school English teacher. 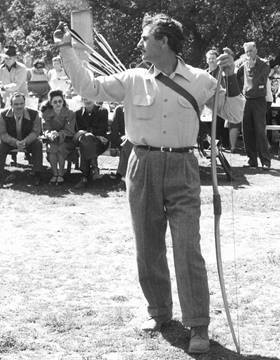 Despite all the responsibilities Howard never stopped devoting his life to the promotion of archery. In fact it was archery that led him to winning more than a few tournaments including the National Flight Championship not once but twice. He was also the only one who has ever won a total of 196 archery tournaments in a row. Famous for being a bit of trickster, even fruit would fly off people’s heads as he skillfully shot at them from sixty feet. Howard’s targets while filming included coins being shot at in mid-air, prunes, apples, wooden balls spit in half while on their way down from on high, aspirins, moving targets and more. The World’s Greatest Archer as he would often be called, was a jolly good fellow who would never miss a target. Whether it was flight, target or field he could do it, if only by pulling the arrow back while sitting on the ground and pushing his bow with his feet. It must have been his impeccable hunting instinct that set him apart from all other archers in history. 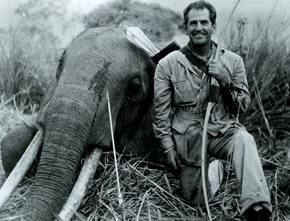 Believe it or not, this king of archery once shot a fully grown elephant with a bow while shooting the film Tembo (circa 1968) in Africa. The 12,000 pound animal was shot in the lungs by a single thirty-one inch arrow and a 125 lb bow. 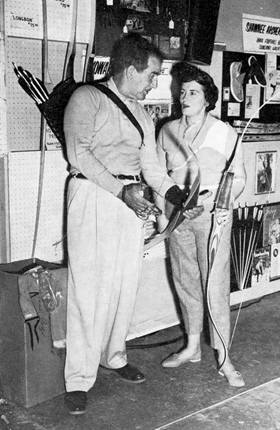 Throughout the 30s and 40s, most all of Howard Hill’s movies would sneak in scenes that demonstrating not only his great aptitude for hunting but also his skill as the champion of the game of archery; a real life Robinhood. “When you meet Howard Hill you know darn well you have met him before, but you cannot remember where or when. Let me solve your problem. If, like myself, you sometimes find yourself hanging on a bar rail and staring over the head of the bar-tender, behind those character-destroying bottles off our Posies or Old Stepmother, you will spot Hill. There you will see a reproduction of a painting, the cultural contribution of some beer cartel like somebody and Rusch, depicting Custer’s Last Stand. That American aborigine, that Indian on the piebald pony is Hill. Yes, the guy giving out with the blood curdling war whoop, drawing a bead on the heroic general (if a bead can be drawn with a bow and arrow Hill is the one who can do it) is our boy. This is no quaint flight of fancy; It has to be Hill. God knows, I have stared at both Hill and his weapon often enough, chilled to the marrow. When Hill goes after any living creature with his bow for whatever reason, whether for food, motion pictures or sport, he has the same intensity, the same piercing black eyes, the same unmistakable snarl, leering with the triumph of the Indian about to wade up to his navel in the gore of the Paleface, He may be stalking only a rabbit, but it is still Hill. He calls himself a Cree, I think, and is inordinately proud of it, But he is a real Indian, make no mistake, as this Paleface knows. Confronted by Hill bearing down upon me over the bar on that pinto pony charging over countless hordes of Four Posies, I have always felt a keen sympathy for the unlucky Custer. v It is only our long and enduring friendship (based upon a mutual love for hunting and the Great Outdoors) that has induced me to write this forewords to his book, a thing I would do for no one else. As yet, being on a different continent from him at the moment, I have not had a gander at Howard's book, but I am sure it is a work calculated to bring out the best kind of savagery in American youth. The book is a cinch to stir many a nervous pulse as Hill has stirred mine in the past. It has to be filled with wild adventure. In it naturally, he will not tell you of the time we were out hunting mountain lions, and having just lassoed one, he had the frenzied brute screeching and turning somersaults at the end of a rope snubbed around a tree. Suddenly Howard yelled, "Here, hold this, and I did, only to find out that I had hold of the tail of the enraged cat instead of the rope. Nor, I suppose, will this savage recount another incident that occurred while we were hunting wild boar on Sana Cruz Island when he left me hanging on the side of a cliff several hundred feet above the rocky sea-shore. While he sat in safety fifty yards away, eating boiled eggs and going into sporadic gales of laughter, he watched me suffer the terrors of chronic vertigo, too petrified to move an inch. Yes, Hill is an Indian. Although no Indian myself, and having no claim to being perhaps even an exceptional hunter, yet I do have much in common with Hill. The wailing note of the loon floating across a placid lake, the distant high pitched cry of the timber wolf, the roar of the jaguar and the blood-curling cough of the charging wild boar, call to some deep inner response within us both that is not acquainted with modern civilization. "Cupid" Hill, as I have called Howard ever since we first met while making the picture Robin Hood, has done things with a bow and arrow that few have essayed with the rifle and I for one am going to read his book with great nostalgia, for some of the truly wonderful moments of my life have been spent tagging at Howards heels on our hunting trips in many strange corners of the world”. 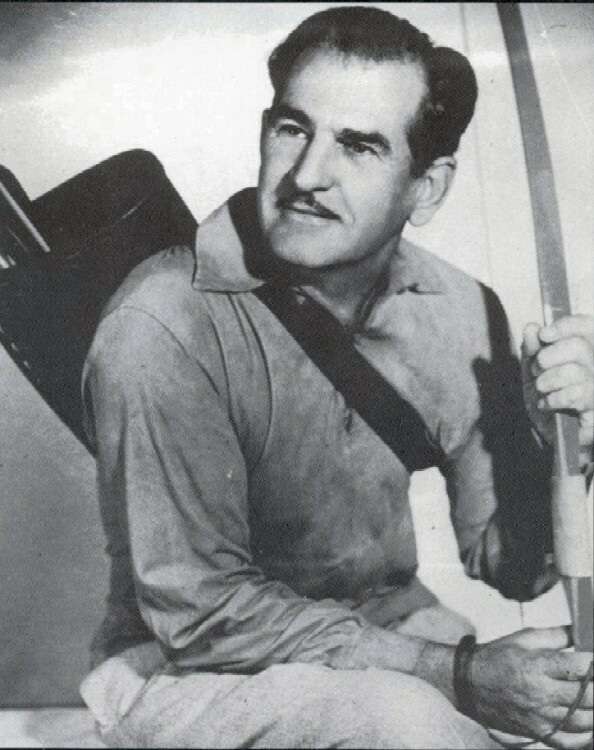 Howard Hill died on February 4, 1975 in Birmingham Alabama but his legacy as the Master of Archery lives on. What is your legacy? 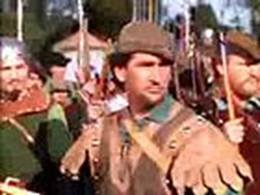 Note - Howard Hill is considered to be one of the three greatest archers of the last century. The other two being Awa Kenzo and Byron Ferguson.